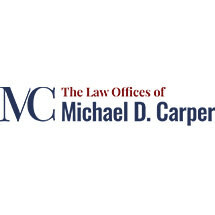 The Law Offices of Michael D. Carper in Kearney, Nebraska, is dedicated to helping clients throughout central Nebraska who need assistance with bankruptcy, personal injury claims, DUI defense or estate planning. Attorney Michael D. Carper has been practicing in Kearney for more than 25 years. You can trust in his experience and skills to represent you. The bankruptcy laws involving Chapter 13 and Chapter 7 proceedings can be confusing for many people — particularly when you feel that you are in dire financial straits. The Law Offices of Michael D. Carper can help you make an informed decision about a path forward, out of debt and toward financial freedom. Stop the paycheck garnishments and bill collector calls. In addition to bankruptcy services, the law firm also represents clients who have been injured in a car accident, in a slip-and-fall accident or in a workplace accident. If you are facing large medical bills or lost income as a result of being in an accident, then working with an experienced lawyer is always in your best interests. People in central Nebraska who are facing driving under the influence charges can also work with attorney Carper to formulate a defense strategy. The firm will represent you in the criminal proceeding as well as the administrative license revocation proceeding. We will assist you in obtaining an ignition interlock permit and installation of the ignition interlock device to keep you driving. Also, we will advise you concerning the possible adverse consequences involving your commercial driver's license (CDL). The firm also handles estate planning and probate matters, including drawing up wills and trusts.